Sometimes an album comes along that just has everything going for it: solid songwriting, talented personnel that click with each other, and top-shelf production values. Deb Ryder’s sophomore solo album, Let it Rain, checks all of these boxes and then some. This disc proves that her excellent debut CD was no fluke, and that she definitely has a role in the future of blues music in the United States. Deb Ryder is originally from Illinois, where she got an introduction to the Chicago music scene courtesy of her father, an in-demand musician and club owner. Her family moved to Los Angeles, where she often had the opportunity to sing at the Topanga Corral (owned by her step-father), opening for great artists such as Big Joe Turner, Charlie Musselwhite, and Taj Mahal, as well as her mentor, Etta James. Fast forward a few years, and you will find her still in the City of Angels, and making a name for herself as a powerful singer and songwriter. For Let it Rain, Ryder could not have done any better than having Grammy-winner Tony Braunagel come on board as producer and drummer. They were joined in the famed Ultratone Studios in Studio City by bassist Ric Ryder (her husband), Mike Finnigan on the keys, Johnny Lee Schell and Kirk Fletcher on guitar, and the killer horn section of Lee Thornburg and Lon Price. These folks are all first-call musicians, and there are also a few guest artists that joined in to really make this a special project. Like her debut, Might Just Get Lucky, this album is made up solely of songs that were written by Deb, and you will find that she is a very good songwriter and she does not limit herself to one sound. This record is a journey from Illinois to Louisiana, and she nails the blues sound as it is found in both of these places, as well as everywhere in between. The set opens strongly with “That’s Just How It Is” and the band is tight with killer leads from Fletcher’s guitar, and Finnigan setting the tone with his Hammond B3 as Ric Ryder and Braunagel hold the bottom end down. Deb’s voice is worthy of this fine accompaniment, as her voice is powerful and dripping with soul. 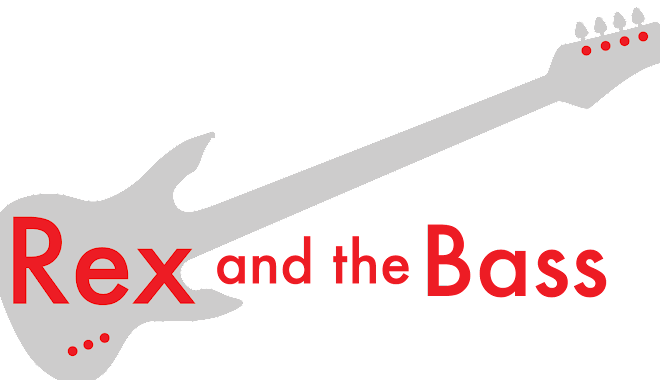 The next track brings the well-arranged horns and Schell’s guitar into the mix with the cool Latin-tinged shuffle, “Can’t Go Back Again.” This song is backed up by the swinging “You Won’t Be True” and gloriously dark “Guilty As Sin,” couple of tunes about a woman done wrong. A tasty bonus is some righteous harmonica work from guest artist Kim Wilson on the latter. You know, you just cannot beat lines like, “You’ve been talking in your sleep, and Betsy ain’t my name.” Ryder’s timing and phrasing are spot on as she adds plenty of drama to the proceedings. 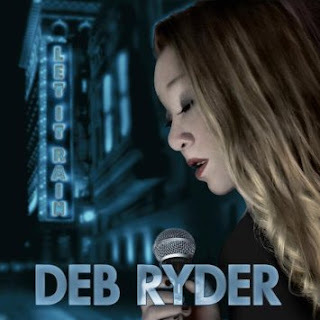 Deb Ryder is not afraid of jumping into the deep end of the pool and she wrote a couple of heartfelt gospel and soul tunes, “Cry Another Tear” and “Hold Your Lamp High” to really change things up. Her voice can take on all of the genres that she tried on this disc, and these two songs are no exception. Of course, she is helped out by her steady backline and some wonderful work from Finnigan on the organ. This record really delivers the goods, and things never get dull! On “Ma Misere,” Braunagel lays down a heavy Cajun beat as he is joined by David Fraser on accordion, and none other than Albert Lee on guitar. There are definitely benefits to recording in LA, and having Mr. Telecaster just down the hill from you in Malibu has to be near the top of the list. After this super-fun song, the disc closes out with “Round and Around,” a more bare-bones Delta and gospel-inspired track that features lovely resonator guitar from Schell and some nice harp courtesy of Wilson. This was a wise choice to end the set, as it brings the listener back to the roots of blues music. There is not a miscue through all eleven of these tracks and kudos for this studio magic need to go out to Schell, who recorded and mixed the album. Deb Ryder’s Let it Rain is the real deal, and we will certainly be hearing more from her. Though you will certainly love this disc, keep in mind that her talents go beyond the studio. Judging by her show last month at Malarkey’s in Long Beach she is a tremendous live performer too, so you should be sure to check out her live show if you are around the Southland -- it will definitely be a good use of your time and money!